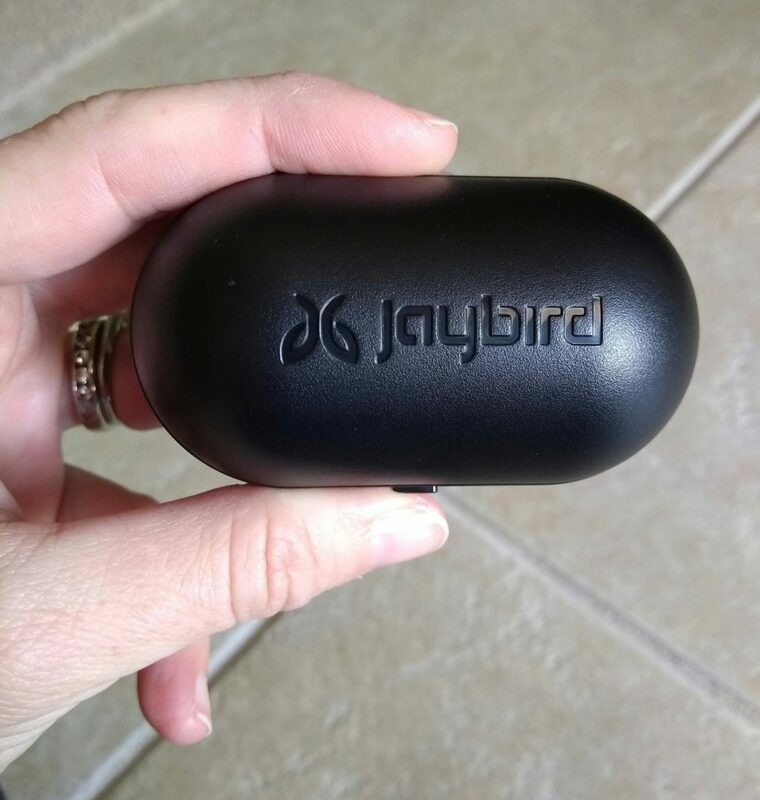 I recently had the opportunity to try out Jaybird Run True Wireless Sport Headphones. Read on to learn all the product details, plus why I think these particular headphones can help you run more safely. 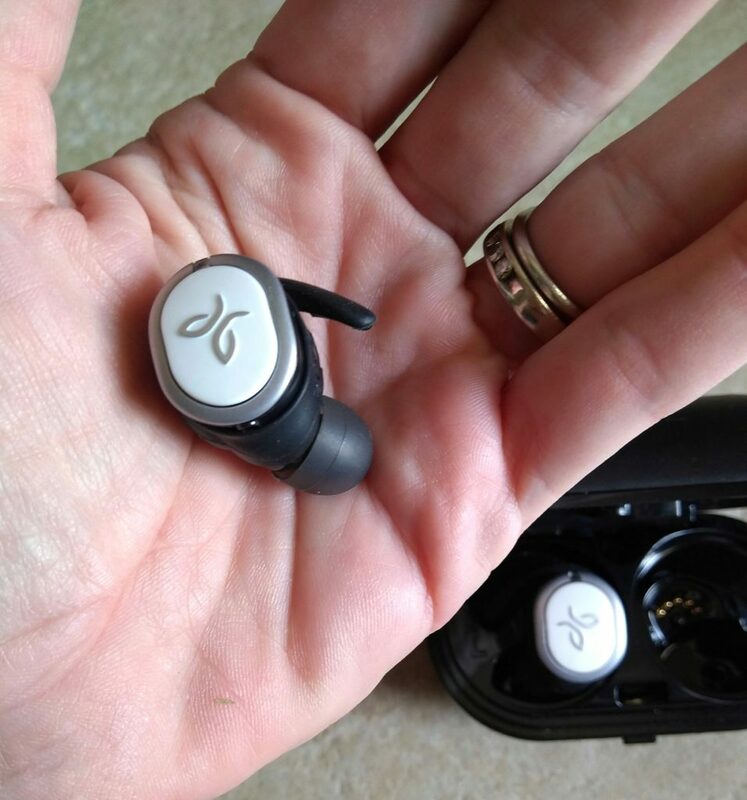 Big thanks to Jaybird for providing me with a free pair of headphones for today’s post. This post contains affiliate links. Running with Headphones: Yes or No? I tend to listen to my dad when it comes to running stuff. I mean, the man has been running for over 50 years. He clearly knows his stuff. But the one area where I’ve remained stubborn is listening to music (or audiobooks, podcasts, etc.) while running. Listening to music while I run helps block out the inner chatter. That’s why I’ve continued to do it, despite my dad’s concerns that wearing headphones impacts my safety. Frankly, I’ve never really understood what the big deal was. Until my own daughter started running. Everything changes when you view it from a parent’s perspective, doesn’t it? And look – I get it. Even in the peak of my training, I couldn’t stand to run outdoors without my headphones. 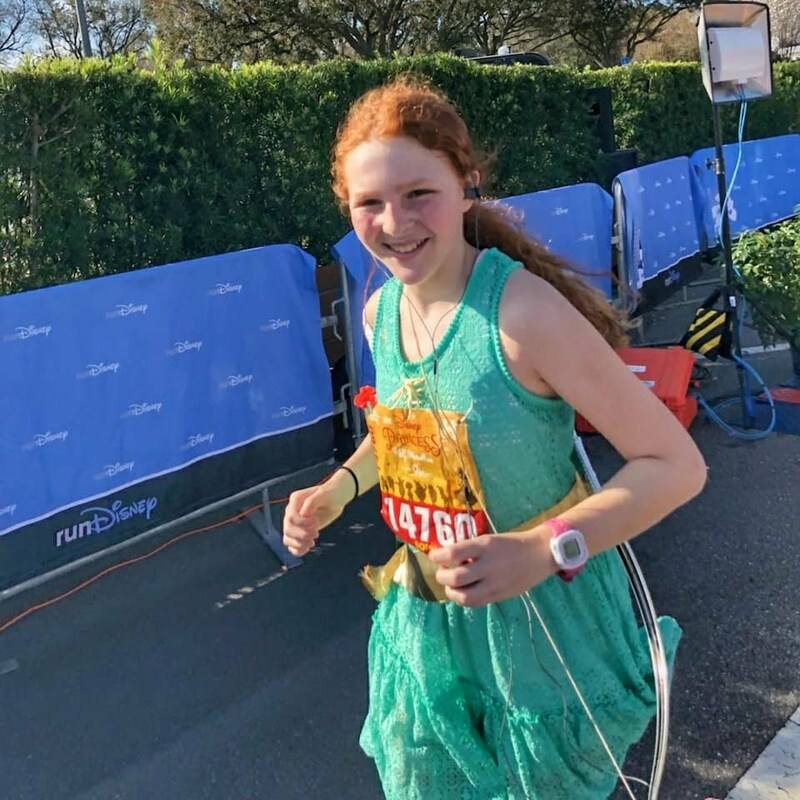 And while I do envy my dad’s natural ability to just sort of “bliss out” and enjoy his surroundings, I also don’t think that needing a distraction makes me (or Sophia) less of a runner. For me, the answer has been running with only one headphone – one in my ear and the other tucked inside my bra. That way I’m able to listen to my music with one ear while keeping the other ear tuned in to my environment. This allows me to be more aware of my surroundings. But it’s not a perfect solution. The extra wires can get annoying or tangled, and having something tucked into my sweaty sports bra is very likely to lead to chafing (ouch). Also the sound quality suffers, especially if the wires get loose or the earbud gets wet from being in my bra (ew). Annoyances aside, this has worked pretty well for me. But then I found an even better way to run with headphones: the “one bud” feature on the RUN True Wireless Sport Headphones by Jaybird. RUN, which is Jaybird’s first pair of truly wireless headphones, has a feature that allows you to listen to music with only one bud. Just power on the right bud and leave the left one in the case. And nothing in my sports bra except what belongs there. I have to be honest – this is my first pair of wireless headphones, so I don’t have anything to compare them with. But as I was reading the user guide and exploring the functions, I was totally blown away by what these little guys can do. Each bud has its own button that you use to operate the various functions and to power them off & on. To listen with just one ear, you simply turn the left earbud off and use only the right one. It took a little practice to remember which bud to press for which function, but they’re really quite easy to use. 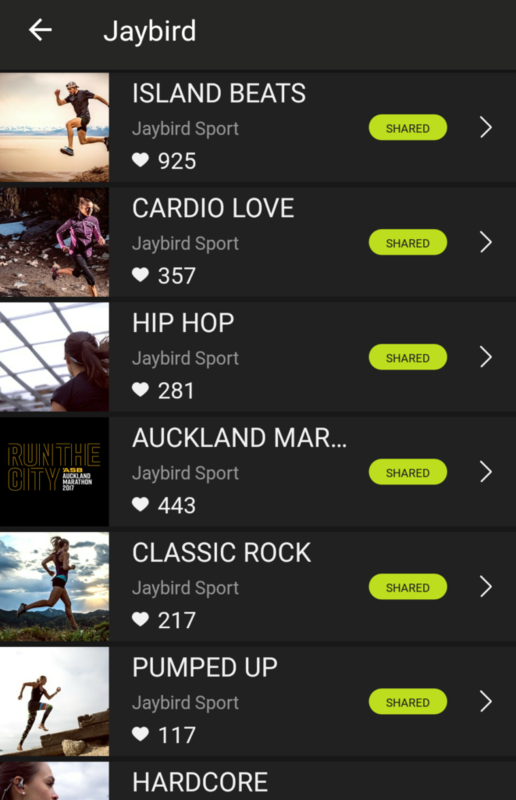 There’s also a Jaybird app, which gives you access to extra features, like access to Spotify and the ability to customize your sound, for all you stereophiles. One Bud Feature: This is the real selling point for me. 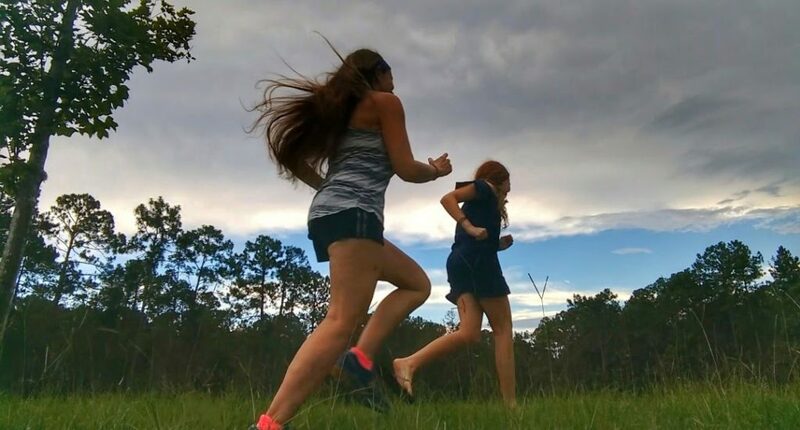 If I want my daughter to run safely, I need to set a good example. Running with one earbud is a good place to start. Carrying Case: I love how portable they are! The case is sturdy and keeps the earbuds well protected. And I don’t have to fuss with wires or (if I time things correctly) charging cables. Fast Charge: I can’t tell you how many times I’ve gotten ready to run or walk, only to find that my sport watch, fitness wearable, iPod, etc. is dead. Most of the time, charging a device for a few minutes gives it just enough juice to turn on…and then right back off again. But you can get a full hour of power by charging RUN for just 5 minutes. Love this! Find Your Buds: And what about all those times my headphones go missing? 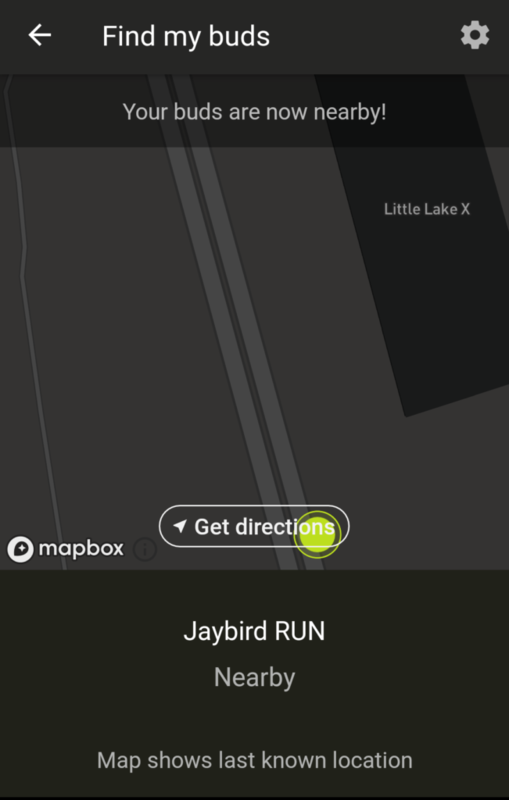 Now I can use the Jaybird app to locate my RUN headphones. The Find Your Buds feature will show the last location that my earbuds were connected to my phone. I’m still working on getting a comfortable fit, but that shouldn’t be too hard. RUN comes with 4 pairs of ear fins (in various sizes) and 4 pairs of silicone ear tips (round and oval). My dad probably won’t ever sign off on running with headphones, period. He jokes that he’s a “fuddy duddy,” but I don’t think that’s it. He’s just more of a traditionalist – with the exception of safety devices, he runs virtually gadget-free. Plus having music or a podcast in his ears would just interrupt his flow – the silence, the sights, and the complete awareness of his surroundings are all part of his running experience. But listening to music is part of my running experience. And using one bud helps me (and Sophia) do that in a safer way. I think it’s a pretty good compromise. What side of the debate to you fall on? I’d love to hear your thoughts. 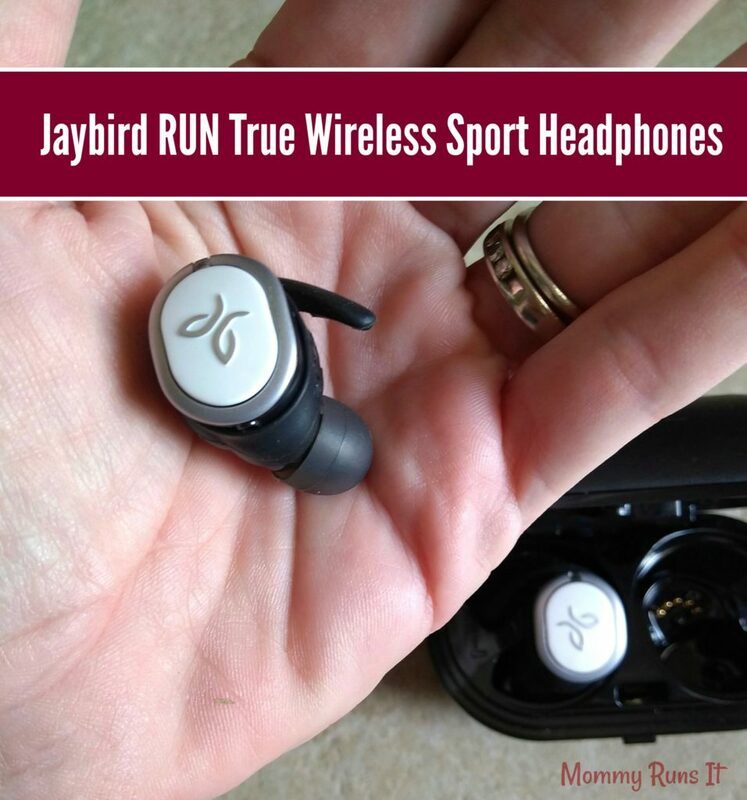 Click to learn more about the Jaybird Run True Wireless Sport Headphones.